EpoxyShield water based epoxy floor paint for garage floors factories, warehouses or workshops. Rustoleum EpoxyShield ULTRA 5200 Floor Paint for foot and vehicle traffic and offers good protection against the effects of car tyres. Rustoleum EpoxyShield ULTRA 5200 Floor Paint is a quick drying, single pack, water based floor coating designed for light to medium duty workshops. Rustoleum EpoxyShield ULTRA 5200 Floor Paint offers users great resistance to foot traffic and vehicle traffic too with good protection against the effects of car tyres. Rustoleum EpoxyShield ULTRA 5200 Floor Paint is best used as a Workshop Floor Paint or Garage Floor and offers outstanding resistance to things like diesel, motor oil, coolant and various household chemicals. Rustoleum EpoxyShield ULTRA 5200 Floor Paint is easy to apply using a brush, roller or airless spray and is ready to use straight away without dilution. Rustoleum EpoxyShield ULTRA 5200 Floor Paint has a theoretical coverage rate of approximately 7m2 per litre and produces a satin-matt finish in a selection of colours. Rustoleum EpoxyShield ULTRA 5200 Floor Paint is suitable for use in internal and external environments, and should not be used on smooth and completely sealed concrete containing a curing compound. By doing this, you will not be able to achieve a good adhesion and the product will not work as effectively. 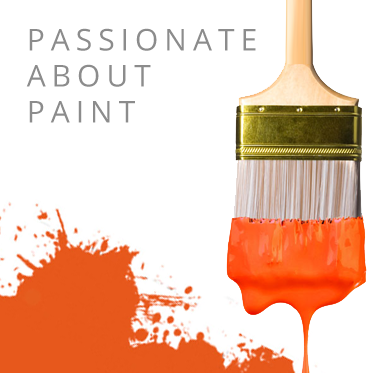 Rustoleum are an industry leading manufacturer of floor paints, driving the industry with their quality products. Rustoleum floor paint is formulated to provide a long lasting finish, that is wear and tear resistant, durable and can withstand large weights is perfect for garage floors or industrial floors. Shelf Life: 5 years from date of production in unopened cans, if stored in dry, well ventilated areas, not in direct sunlight at temperatures between 5° and 35°C. A super adhesive, two pack, water based epoxy primer. For very smooth, hard to adhere substrates such as tiles. EpoxyShield Clear Sealer Primer and floor sealer 5220, a water based clear and non yellowing coating. Ideal for cleaning heavily soiled floors to effectively remove grease, dirt, soot, tyre marks and fire damage.